Available in two popular magnifications with two equally popular price tags, the Sportview series gives you Bushnell quality while keeping your budget on track. 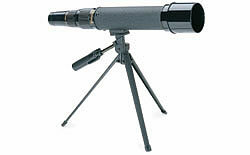 Each model comes with fully coated optics, rugged construction and a variable zoom eyepiece. What's more, they also come standard with a hard carrying case, tripod and the satisfaction of knowing your scope's bound to be around far longer than the next guy's  unless, of course, his is a Bushnell, too. Extra power and performance at the high end for extended-range viewing. 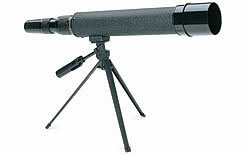 A great mid- to high-power spotting scope for all-round use.